It’s September and that means it’s back to school time. Remember when your mom used to send you off to school with a delicious peanut butter sandwich in your lunch? 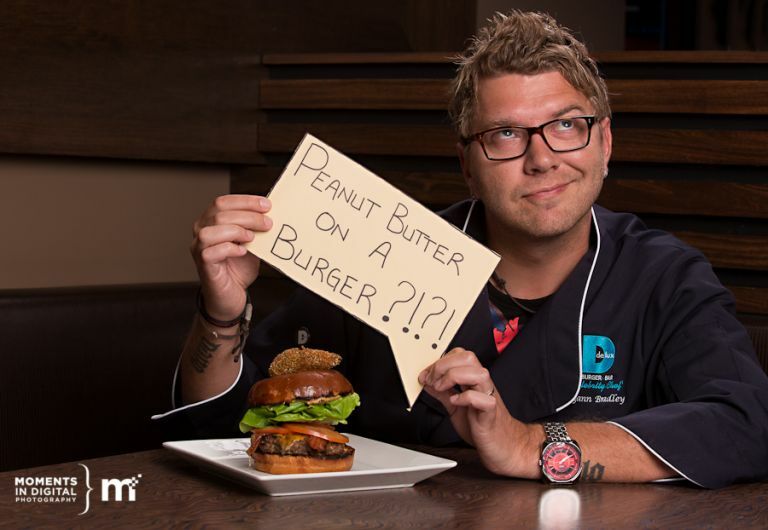 Well this month’s Delux Burger Celebrity Chef is bringing that love of peanut butter to a hamburger. 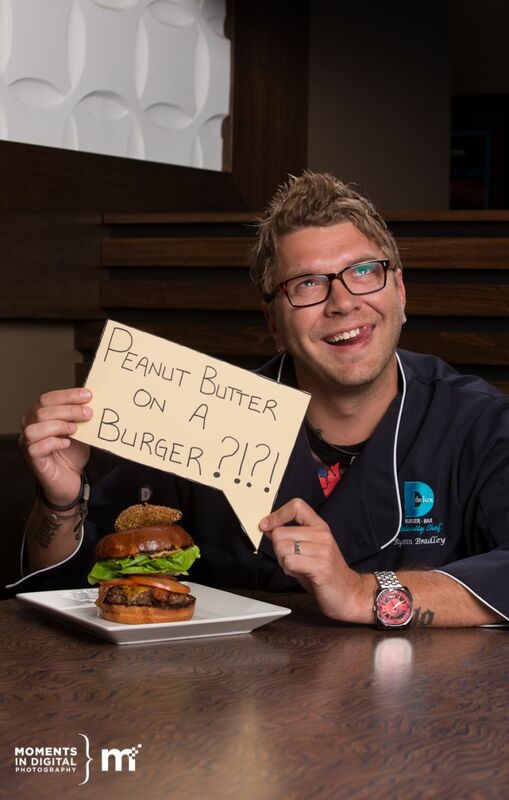 This month’s Delux Burger Celebrity Chef is Ryann Bradley from Lite 95.7 and his burger “The Peanut Butter Crunch” is featured on the menu for the month of September. 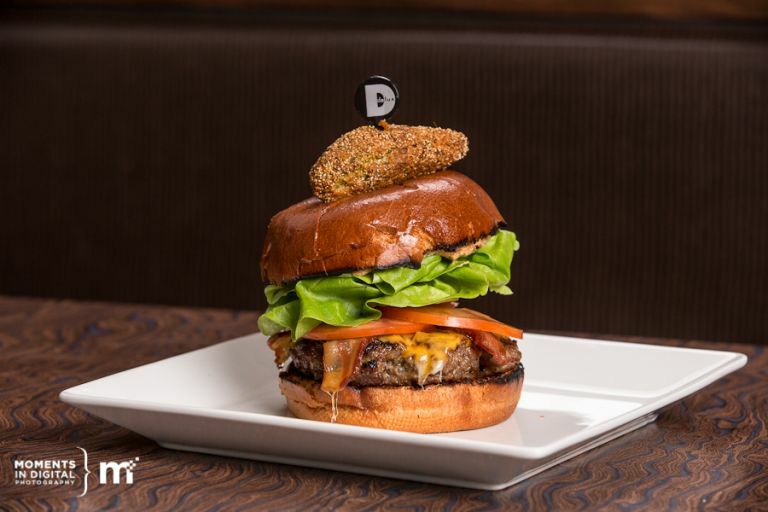 Â Ryann’s burger features a 7oz Heritage Angus beef patty, orange cheddar, double-smoked bacon, lettuce, tomatoes, and crunchy peanut butter on a fresh baked brioche bun with a deep fried pickle on top. 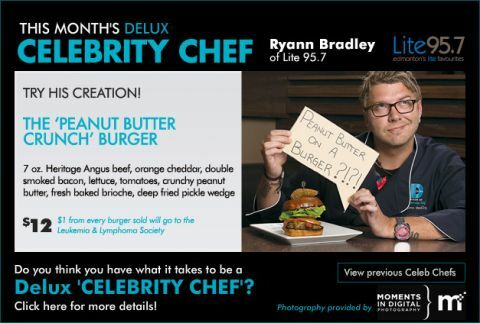 Ryann has chosen to support theÂ LeukemiaÂ and Lymphoma Society of Alberta with his burger and $1 from every burger sold will be donated to this great charity. Here are a few photographs from our photo shoot at the Delux Burger location in West Edmonton Mall along with the final ad piece.